April 9th, 2019, Mumbai: Zoya Akhtar, a well-known Indian film director and Vidya Balan, a leading Indian actor, together announced the nominees for India's first Critics Choice Film Awards that honors and celebrates talent in cinema across 8 languages in India including: Tamil, Telegu, Kannada, Marathi, Gujarati, Bengali, Malayalam and of course Hindi. The awards are brought together by Motion Content Group and The Film Critics Guild (FCG) in association with Vistas Media. The awards will be held on April 21st, 2019 at Rang Mandir, Bandra, Mumbai and will be hosted by Neha Dhupia, the well-known Indian film actor. A jury of the country's most credible film critics who aim to honor and celebrate the brilliance in Indian cinema will be deliberating over the winners for this awards ceremony. About Film Critics Guild: The Film Critics Guild, India's first registered association of film critics, is a geographically diverse cross-section of professionals who have come together to streamline the ethical and quality standards for film criticism in the country. With India's most credible critics — representing print, radio, broadcast, and the web — at its helm, the Guild is dedicated to maintaining the highest level of integrity amongst its members and evaluating works of cinema that stand apart in their story-telling. About Motion Content Group: Motion Content Group is a global content investment and rights management company. It invests and partners with the world's leading talent, producers and distributors to fund, develop, produce and distribute premium content. Motion supports editorially and commercially vibrant networks and platforms by helping meet the ever-increasing demand for premium content, for the benefit of advertisers and its content partners. Headquartered in London and Los Angeles, Motion currently operates in 26 countries worldwide and has a broad range of award-winning programming distributed globally. അഭിനേതാക്കളുടെ സംഘടനയായ "അമ്മ" ആസ്ഥാനം കൊച്ചിയിലേക്ക് മാറ്റുന്നു. പ്രസിഡണ്ട്‌ മോഹൻലാൽ പുതിയ ഓഫീസ് കെട്ടിടത്തിന്റെ താക്കോൽ ഏറ്റുവാങ്ങി. കൊച്ചിയിൽ നടന്ന ചടങ്ങിൽ അമ്മ ഭാരവാഹികളായ ഇടവേള ബാബു, മുഖേഷ് തുടങ്ങിയവർ പങ്കെടുത്തു. നിലവിൽ തിരുവനന്തപുരത്തു പ്രവർത്തിക്കുന്ന ഓഫീസ് 3 മാസത്തോടെ കൊച്ചിയിലേക്ക് മാറ്റാനാണ് ശ്രമം. അംഗങ്ങൾക്ക് കൂടുതൽ ക്ഷേമ പ്രവർത്തനം നടത്താൻ അമ്മ നടത്തുന്ന ശ്രമത്തിനു കൂടുതൽ സഹായകമാകും ഈ മാറ്റം എന്നു മോഹൻലാൽ പറഞ്ഞു. മുതിർന്ന താരങ്ങളായ ജനാർദ്ദനൻ, കവിയൂർ പൊന്നമ്മ തുടങ്ങിയവർ പങ്കെടുത്തു. ഔപചാരിക ഉദ്ഘടാനം വലിയ പരിപാടികളോടെ പിന്നീട് ഉണ്ടാകുമെന്നു അമ്മ പ്രസിഡണ്ട്‌ മോഹൻലാലും ജനറൽ സെക്രട്ടറി ഇടവേള ബാബുവും പറഞ്ഞു. The trailer of Prakash Kunjhan Moorayil directorial 'Old Is Gold' is released on YouTube. Touted to be a comedy entertainer, the movie stars Dharmajan Bolgatty, Pashanam Shaji, Nirmal Palazhi, Haneef, Neha Radhakrishnan, Deepu, Faizal, Maya, Ponnamma Babuand Ala. The story is written by Haneef Kechery. S Selvakumar has handled the cinematography where as the editing is done by Zian Sreekanth. Scheduled to release on March 15th, 4 Color has produced this movie. Muzik247 is the official music partner. About Muzik247: Muzik247 has been the most prominent music label in Malayalam film industry over the last five years. Muzik247 possesses the soundtrack rights to some of the most successful Malayalam Movies of recent times - Njandukalude Naattil Oridavela, Thondimuthalum Dhriksakshiyum, Angamaly Diaries, Oru Mexican Aparatha, Jomonte Suviseshangal, Ezra, Kochavva Paulo Ayyappa Coelho, Oru Muthassi Gadha, Jacobinte Swargarajyam, Premam, Bangalore Days, Charlie, Kammatipaadam, How Old Are You, Kismath,Vikramadithyan, Maheshinte Prathikaaram, Oru Vadakkan Selfie, to name a few. The second video song from Midhun Manuel Thomas directorial 'Argentina Fans Kaattoorkadavu' is released on YouTube. Titled "Kaathu Kaathe", the track is getting noticed for Sithara Krishnakumar's beautiful rendition and Aishwarya Lekshmi's graceful dance steps. Gopi Sundar has composed the music to the lyrics of Harinarayanan BK. The story of this Kalidas Jayaram - Aishwarya Lekshmi starrer is by Asokan Charuvil with script written by John Manthrickal and Midhun Manuel Thomas. The cinematography is handled by Rendive whereas the editing is done by Lijo Paul. Scheduled to release on March 22nd, the movie is produced by Ashiq Usman under the banner of Ashiq Usman Productions. Muzik247 is the official music partner. Here is a look at who won what at the 49th Kerala State Film Awards. The awards were announced on Wednesday by cultural affairs minister AK Balan. Jayasurya shares the Best Actor award with Soubin Shahir. The list of winners at the Kerala State Film Awards 2019. The jury for the 49th Kerala State Film Awards is headed by screenwriter-director Kumar Shahani. The trailer of Midhun Manuel Thomas directorial 'Argentina Fans Kaattoorkadavu' was released on YouTube receiving tremendous response from the viewers. The trailer has crossed 6 lakh views in just 20 hours of its release. Starring Kalidas Jayaram and Aishwarya Lekshmi, the story of 'Argentina Fans Kaattoorkadavu' is by Asokan Charuvil with script written by John Manthrickal and Midhun Manuel Thomas. The cinematography is handled by Rendive whereas the editing is done by Lijo Paul. Music is by Gopi Sundar. Scheduled to release on March 1st, the movie is produced by Ashiq Usman under the banner of Ashiq Usman Productions. Muzik247 is the official music partner. Aju Varghese and Shaan Rahman have rendered a catchy number for the upcoming movie 'Columbian Academy'. The song features the duo enjoying and dancing to it as they sing in a recording studio. The track is titled "Lahari Ee Lahari" which is composed by Aloshya Peter to the lyrics of Sreejith Rajendran. 'Columbian Academy' is written and directed by Akhil Raj Adimaly. The movie stars Aju Varghese, Salim Kumar, Anjali Nair, Dharmajan and Baiju. Cinematography is by Pavi K Pavan. Anvar Sadath and Moidheen Shiras have produced 'Columbian Academy' under the banner of Mascot Movie Makers. Muzik247 is the official music partner. Kochi: The first video song of Midhun Manuel Thomas directorial 'Argentina Fans Kaattoorkadavu' introducing the lead characters played by Kalidas Jayaram and Aishwarya Lekshmi, is released on YouTube. The song titled "Hey Madhuchandrike" has a breezy romantic tune composed by Gopi Sunder. Vijay Yesudas has sung the track with lyrics written by Harinarayanan BK. The story of 'Argentina Fans Kaattoorkadavu' is by Asokan Charuvil with script written by John Manthrickal and Midhun Manuel Thomas. The cinematography is handled by Rendive whereas the editing is done by Lijo Paul. Scheduled to release on March 1st, the movie is produced by Ashiq Usman under the banner of Ashiq Usman Productions. Muzik247 is the official music partner. The trailer of Kunchacko Boban starrer 'Allu Ramendran' has been released on YouTube. The 1 minute 44 second trailer presents a mix of many funny moments as well as mass scenes. Directed by Bilahari, 'Allu Ramendran' is written by Sajin Cherukayil, Vineeth Vasudevan and Girish. Kunchacko Boban, Chandini Sreedharan, Aparna Balamurali and Krishna Sankar play the main characters along with Salim Kumar, Dharmajan and Sreenath Bhasi. The cinematography is handled by Jimshi Khalid whereas the editing is done by Lijo Paul. Shaan Rahman has composed the music and background score. The movie is produced by Ashiq Usman under the banner of Ashiq Usman Productions. Muzik247 is the official music partner. Kochi: Muzik247, the prominent music label in the Malayalam film industry, has released the first song from upcoming movie 'Cochin Shadhi At Chennai 03'. 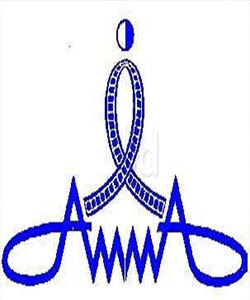 Titled "Ammapoovin", the track is composed by Sunny Viswanath to the lyrics of Godwin Victor. Geethiyaa Varman has sung the song. Directed by Manjith Divakar, the movie is scripted by Rijesh Bhaskar. 'Cochin Shadhi At Chennai 03' stars Charmila, RK Suresh, Vinod Kishan, Suyog Raj, Adam Lee, Shivaji Guruvayoor, Shinoj Varghese, Kiran Raj, Abubakker, Neha Saxena, Akshitha Sreedhar Shastry, Aswani and Niyuktha. Ayyappan N has handled the cinematography whereas the editing is done by Manu. Abdul Latheef Vadukkoot has produced the movie under the banner of AAIM Production. Muzik247 is the official music partner. Mohanlal will Lead AMMA. Edavela babu, Ganesh, Mukesh, Siddique and Jagadish are in main panel. Kochi: Mohanlal will lead the Malayalam cinema actors’ organization, AMMA hereafter. Mohanlal is becoming the president following the decision of Innocent, who has been president for the last 18 years, to resign the post. The Genreal secretary, Mammootty, is also resigning the post. Edavela Babu will be the new general secretary. LDF MLAs K. B Ganesh Kumar and Mukesh are vice presidents. Siddique will be the new secretary and Jagadish will return to his old post as the treasurer. The nominations for the election to be held along the annual general body on 24 th were supposed to be given by Friday. Since nobody else gave nominations for the main panel, it became guaranteed that a new administration with Mohanlal at the head will lead the organization. Apart from the six main members, an 11 member executive committee will also be there. Even though no female representation is to be seen in the main panel, women membership has increased to four in the executive committee. Swetha Menon, Muthumani, Honey Rose and Rachana Narayanankutty are the women representatives in the executive committee. Unni Sivapal had given nomination to executive committee from outside the panel. But, efforts are made to withdraw this in order to completely avoid an election. 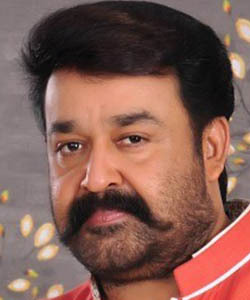 Mohanlal will be the next president of Malayalam movie actors’ associtation, AMMA. Earlier, the current president Innocent had shown interest towards leaving office. Following this, the current vice-president, Mohanlal was considered because of his general acceptance. Edavela Babu was chosen as the General Secretary. He has been the acting secretary of the association for 18 years now. Mammootty used to be the general secretary before Babu assumed the role in the latest board. These people were unanimously chosen as nobody else gave any nominations. The official announcement will be on June 24, during the annual general body. After this, the new administration will take up office for the next three years. Other important board members include K. B Ganesh Kumar and Mukesh as vice-presidents, Siddique as joint secretary, and Jagadish as treasurer. 11 other people are members of the 17 member administrative board: Innocent, Sudheer Karamana, Jayasurya, Baburaj, Asif Ali, Tini Tom, Aju Vargheese, Honey Rose, Swetha Menon, Rachana Narayanankutty, and Muthumani have given nominations as members. Women representation is the highest for this board when compared to the previous ones. Also, the fact that 10 new members are becoming part of the committee is noteworthy. The official confirmation of the new committee will be announced with the completion of election process on June 14. June 18, 2018, Kochi: The trailer of upcoming Malayalam movie 'Kidu' was released on the YouTube channel of Muzik247, receiving 1 lakh views in less than 24 hours. Written and directed by Majeed Abu, the movie stars Ramzan Muhammed, Anagha Stibin, Leona Lishoy, Minon John, Althaf Manaf, Aymon and Vishnu. Dhane sh Mohanan has handled the cinematography where as Achu Vijayan has done the editing. Music is composed by Vimal T K. Scheduled to release on June 29th, P K Sabu and Naseera K have produced 'Kidu' under the banner of Pee Kay Productions. Muzik247 is the official music partner.